It’s one of the hardest times of year regarding daytime outfits. Transitioning from Summer through to Autumn is hard for many women and I’m sure I’m no exception especially when the weather has been as topsy turvy as it has been lately. With the warmer weather in September many of us were still wearing our Summer fashions, but now the weather has turned a little cooler it’s sometimes hard to find the right thing to wear. Debenhams have challenged me to find the perfect ‘Summer to Autumn’ outfit and gave me £150 to spend on their website. With a range as big as theirs it wasn’t hard to do to be honest but I did feel I was spoiled for choice. As a busy working mum, who works from home a lot, clothes need to be multi purpose. I like to be comfortable and warm yet still feel stylish; I like the way that makes me feel even if I go all day and don’t see anyone else except others on the school run. So for my outfit I’ve worked on a layered approach featuring my wardrobe staple: skinny jeans. 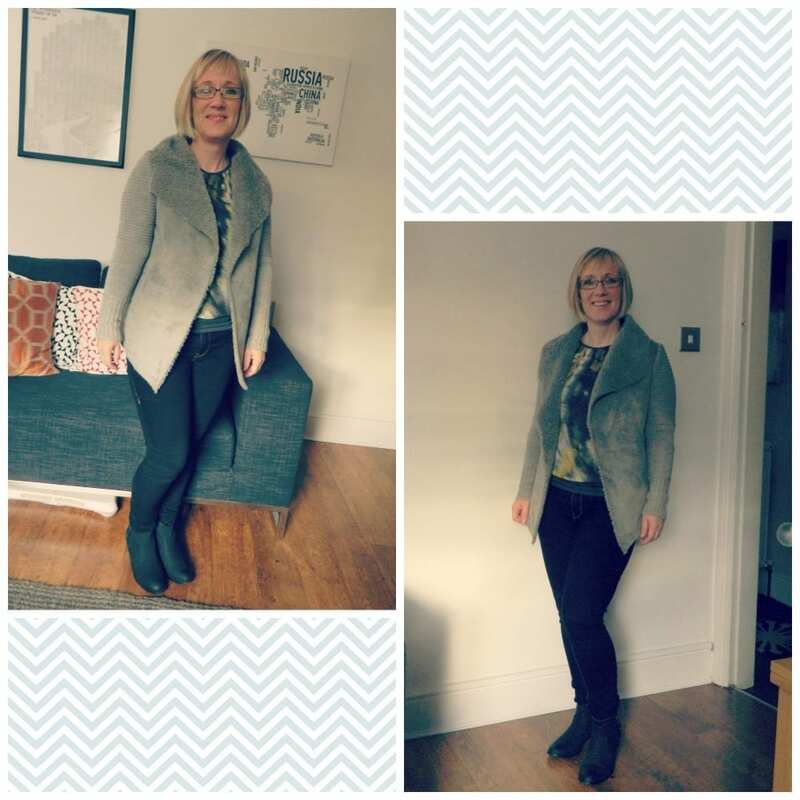 For me the layers work particularly well as the weather changes and it can be hard to know what to wear. The Red Herring skinny jeans are a bargain at just £20 and an easy to wear item of clothing as the days get chillier. I love attractive tops and this one from Principles by Ben de Lisi is soft and sheer with a stretch back and sleeves making it easy to wear in the day, but the possibility of dressing it up in the evening too. The Oasis Shearling jacket is just gorgeous, and really good value I think at £45. It can function as a cardigan when the Winter kicks in, but in the Autumn it’s a great cover up for the school run or popping out in the car. And I love the way it drapes. The Red Herring ankle boots have the very popular stock heel so give me a little height without feeling I’m tottering around. Again I love these boots, so practical and easy to wear. Finally, this is the kind of outfit I would finish off with a lovely lightweight scarf (another of my Autumn wardrobe staples) and a co-ordinating grab bag. So what do you think? Is this the kind of outfit you would wear in the Autumn? I was really impressed by the Debenhams website having not used it in a long time, and found the choice extensive and the pricing really competitive. Disclosure: I was given £150 to spend at the Debenhams website for the purpose of this challenge. Next Post Which Home Improvements Can Pay for Themselves?